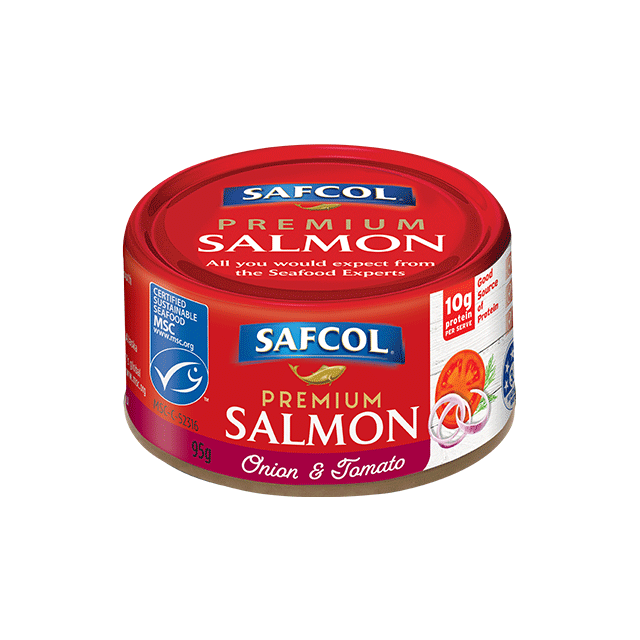 SAFCOL Premium Salmon 95g Cans – Our premium quality salmon is succulent, tender and ready to eat. Available in a great range of gourmet flavours, they taste fantastic. Skinless and boneless, they’re perfect for sandwich fillings, lunches, snacks and for adding to rice and pasta.